Of all the problems and issues that can hinder productivity, fatigue just may be the deadliest one. A tired employee, obviously, cannot give their all when at work. 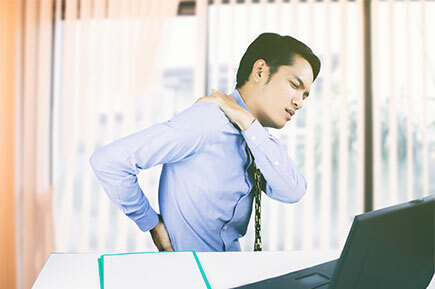 There are even some disorders, such as work-related musculoskeletal disorder (MSD) which can cause them to be exhausted, to miss out on work and to even injure themselves in the workplace. MSD is no joke, and has, in fact, been identified as a very serious disorder. Ergonomics, proper rest time, all of these things can help out in preventing (or alleviating) issues like these. Integrating and presenting ergonomic solutions in the workplace can do wonders. You should even invest in some quality ergonomic products that aim to reduce employee fatigue. Now, you may be wondering – how exactly do ergonomic products help your company and your employees? It reduces expenses. MSD can be prevented quite easily. All of the costs associated with this disorder can be nullified just by getting proper ergonomic gear. It improves the quality of your employees work. Workers that perform manual labour duties that really tire them out will get a lot out of ergonomic products. It will not only make their jobs less painful but will even help them rest more effectively. It improves productivity. Employees will become much more efficient. They will be in less pain, have less joint aches and issues, and this in turn, will mean they accomplish much more. It creates a culture of safety. By having ergonomic items and products, you’re sending a message not only to your competitors but to your employees and customers as well. A message that centres around safety and employee care. It improves employee morale. By having this stuff, you show that you care. This will do wonders for the employees, their moods, and their morale. So, we hope this section has been informative. If indeed it was, then we would like you to think about something else. Namely, do any of your co-workers or employees look tired? Fatigued? Exhausted? Now, people have their own wants and needs. But, most understand that they can and should tolerate a certain amount of discomfort at the office. But sometimes, they can go overboard and put on a tough façade. If you notice them fidgeting at their workstations, or that they seem very uncomfortable, you should probably get them to do something that is not related to their work. This may seem silly, but it can, in fact, be a sign of subconscious stress, or pain that they are not willing to share with people. However, it can be an early sign of fatigue and you should do everything in your power to alleviate it. So, even if you add all of these extra hours, the outcome is lower productivity and unhappy employees. If you notice that your employees’ productivity has hit an all-time low, then there’s definitely something going on with them. Closely observe employees who are not their usual selves and are acting out of character. Moodiness, emotional distress, or having a bad attitude in the workplace are telling signs that something is wrong. This will not only affect their performance, it can also waste other employees’ time. This is an obvious sign that your employee has a lot on their plate and is struggling to get on top of their workload so it is best to look into what is causing this behaviour. Always pay attention to your employees’ workstations and desks. A messy desk can be a sign of stress. Whether it’s straight out complaining about feeling stressed or overworked with their friends during lunch breaks or even just a long drawn out sigh of relief when they get up for a stretch, these are clues that they may be feeling fatigued at work. Of course, it’s never safe to make assumptions. An effective next step would be to talk about it, or at least encourage sharing. You’ll be surprised how smoothly this conversation will actually go. When it concerns comfort, people are generally willing to speak up. There are employees who are habitually late – those who run late in every aspect of their lives. Once you notice someone in your team who usually comes on time, if not an hour early, start to arrive late for consecutive days or weeks, this is a clear indicator of fatigue or poor work-life balance. Employees experiencing fatigue will find ways to justify not getting out of bed in the morning. If you notice an alarming increase in absences, then it’s time to ask if work-related fatigue might be the cause. Talking to your employees is critical, but it’s also important to find a solution to their problems o that they can perform their duties efficiently. We suggest you consider an ergonomic solution. 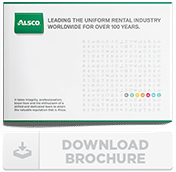 At Alsco, we have several ideas that are simple and easy to implement that can help prevent employee fatigue. Place our Anti-Fatigue Mats strategically around your office and work areas. They will provide comfort as your employees move around the workplace. Paired with comfortable equipment, they can help nip fatigue right in the bud.